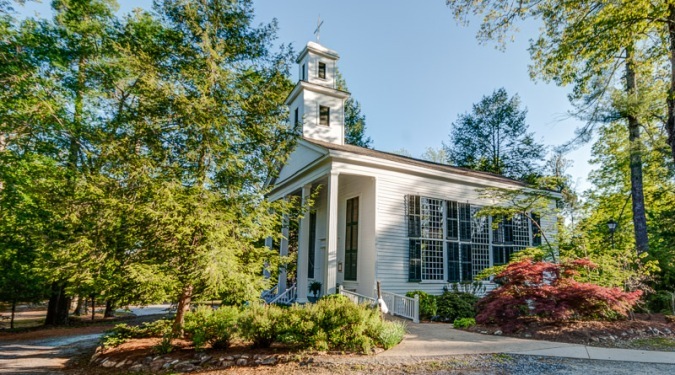 Habersham County was officially chartered in 1818 and named for Joseph Habersham, a Revolutionary War hero and the first Postmaster General under President John Quincy Adams. Coastal and deep-south residents travelled to the foothills of the Blue Ridge Mountains during the summer to escape the humidity and mosquitoes. Usually these people stayed in the county until the first sign of frost. Many of these seasonal visitors liked the area so much, they eventually settled permanently. Habersham County was enlarged in 1828 and 1829 when more Cherokee lands were added to it from the Cherokee Cessions of 1818 and 1819. At one time, it encompassed 713 square miles, but through the years parts of it were taken to help form Banks, Cherokee, Lumpkin, Rabun, Stephens, and White counties, decreasing Habersham County to 278 square miles. The first settlers claimed land along the banks of the county's four major rivers, the Chattahoochee, Soque, Tallulah, and Tugaloo. Once gold was discovered in the mountains, a new breed of prospectors and fortune hunters came to Georgia. Because of the extreme measures taken to retrieve the gold from the land, the National Forest was created to protect the land from timber depletion and soil erosion. Agriculture thrived and two major products were marketed: apples and grapes for wine making. The introduction of the Tallulah Falls railroad expanded the county's marketability and brought more visitors to the area. Tallulah Falls became an increasingly popular spot for honeymooners, second only to Niagara Falls. Early industries included leather tanning, iron mining, and the processing and mining of such other minerals as asbestos, cynanite, and tourmaline. During the Civil War (1861-65) the Habersham Iron Works and Manufacturing Company produced arms for the Confederacy. Nearly 1,000 men from Habersham fought for the Confederacy. On October 12, 1864, Confederate troops defeated Union troops at the Battle of Narrows (also called the Battle of Currahee), which was fought at a mountain pass in the county. The Confederate victory is said to have saved Habersham County from pillage by the Union troops.